From husband Shah Rukh to the close pals of Gauri Khan – Karisma Kapoor, Amrita Arora, Malaika Arora, and ace designer Manish Malhotra, actress Sridevi, Kajol and director Sanjay Leela Bhansali – all have visited and wished luck for Gauri’s new design store in Mumbai. The latest to join the bandwagon is however, Mubarakan actor Arjun Kapoor with whom Gauri claimed to have a hilarious meeting. Glad u enjoyed the "Meet and Greet" at #gaurikhandesigns. Hahahha that was hilarious @arjunkapoor . Your sense of humour deserves a big discount from #gaurikhandesigns. 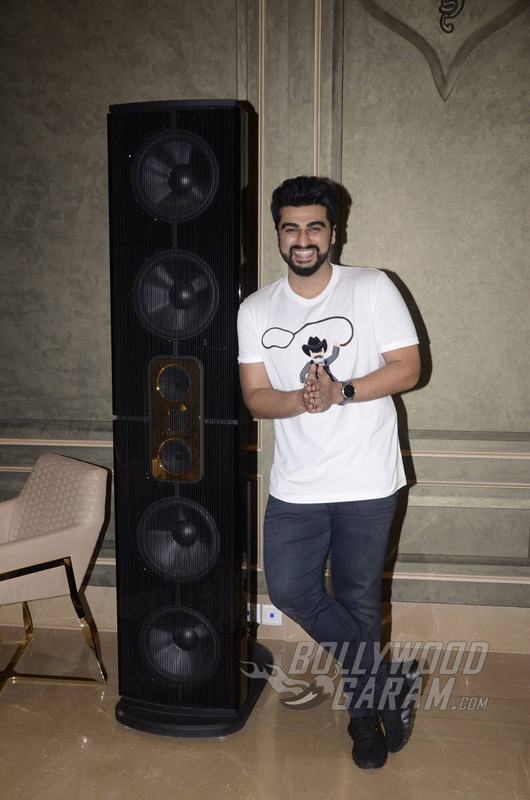 Keep spreading the smiles @arjunkapoor. Going by the pictures, the two seemed to have quite a delightful conversation and much fun as both of them giggled and chatted away in their casual looks. While Gauri sported a gray sweatshirt with ripped blue jeans and dazzling bronze sneakers, Arjun posed for the shutterbugs with his cool white t-shirt and black jeans. Arjun and Gauri were photographed having a conversation sitting at the couch where the background is illuminated with beautiful golden lights. The Gunday actor recently made a good collection with his movie, Mubarakan that garnered more than 50 crores at the box office. He is also reportedly filming a reunion movie with Parineeti Chopra after five years since their last movie together, Ishaqzaade, titled, Sandeep Aur Pinky Faraar that is believed to be based on depression and according to another report, Arjun will play a cop in this one. Arjun-Parineeti pair was much appreciated in Ishaqzaade where they both shared a great affable chemistry. Parineeti has recently wrapped up filming her upcoming film, Golmaal 4, where she will be a part of the Golmaal franchise for the first time alongside Ajay Devgn, Arshad Warsi, Shreyas Talpade and others.